Local “pickers” and City Farmhouse store owners David and Kim Leggett have made a name within the design world of late, using their trained eye for antique and vintage pieces to establish three large-scale shopping fairs, and gather more than 100,000 page fans on Facebook. The downtown Franklin-based duo recently announced they will add a monthly pop-up store to their repertoire: The Fling at the Factory at Franklin, a four-day event that will feature recently picked displays of curated antiques and vintage finds that is unique from what shoppers may find at their brick-and-mortar store over here on Bridge Street! The Leggetts are launching The Fling on Thursday, May 7, 2015 with a preview party, and the event will continue through Sunday, May 10. Following, this will happen once a month — check the schedule here. The event will be super cool, as it’s housed in a 4,000-square-foot repurposed warehouse located just off the Main Commons in the Factory—near the new Thrive Café. Sometimes, the innovative event will even include live musical performances and featured guest vendors. True to City Farmhouse style, the Leggetts will kick off each monthly event on Thursday evenings with a “first-pick” preview party, providing wine, light appetizers and a first-look at the goods, from 6 to 9 p.m. The shopping experience will continue Friday and Saturday from 9 a.m. to 6 p.m. and through Sunday, from Noon to 5 p.m. The store owners will then close the doors, and do it all over again the following month! Though guest should expect something new and fresh each circuit—and unique items that shoppers won’t find at the City Farmhouse shop on Bridge Street—the Leggetts “picks” will remain the same: farmhouse, French, architectural, industrial, Americana and the like will be artfully arranged for purchase. Plus, repurposed pieces and other found objects will add another fascinating layer to the event. Please note y’all: The Fling won’t affect the Leggetts’ current City Farmhouse location on Bridge Street in Downtown Franklin; the shop will remain open at regular hours during the special event. For more information on The Fling, call 615-268-0216 or visit www.cityfarmhousefranklin.com. For more on the Leggetts, follow the City Farmhouse Facebook page at facebook.com/cityfarmhousetn. City Farmhouse is a popular antiques and vintage shop located on Bridge Street in Historic Downtown Franklin, Tenn., that offers modern farmhouse style for urban and rural living. Owners Kim and David Leggett have been “pickers” for more than 20 years, and their trained eye and vivacious personalities have earned them national acclaim, from individuals interested in following popular vintage trends to interior designers. In addition to curating the store, the monthly pop-up store, The Fling, and the City Farmhouse Pop-up Fairs, the Leggetts exhibit at major vintage and antique events throughout the U.S. Kim is a sought-after expert for guest appearances and as a host of guided tours at fairs around the country, appearing in shows the likes of Marburger Farms, the Country Living Fair, The Nashville Shows, and more. 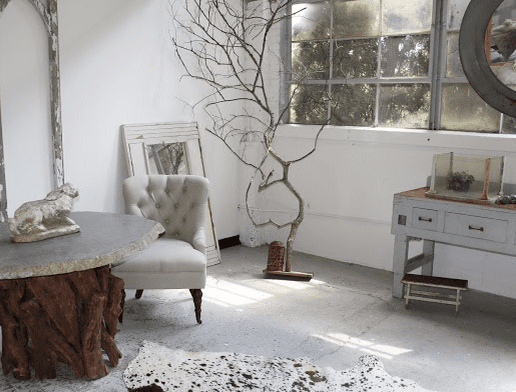 As a freelance interior stylist, Kim’s projects have been featured in a host of major publications, from Elle Décor and Architectural Digest to Gatherings Magazine. She also sells her finds to museums, private collectors and celebrity clientele like Ralph Lauren, Meg Ryan, Tommy Hilfiger, Sheryl Crow, Carrie Underwood and more. The Leggetts’ recently crossed a social media milestone, amassing more than 100,000 Facebook fans. Follow them at www.facebook.com/cityfarmhousetn.com.